Helping people up sticks and move their entire world from one location to another is an exciting but challenging business. It takes a great deal of skill and experience. At John Mason International we’ve been doing it for more than 130 years, and have had the pleasure of ensuring thousands of successful relocations. But we’re always looking for ways to enhance our services still further, and linking with others who share our values is a great way of doing that. 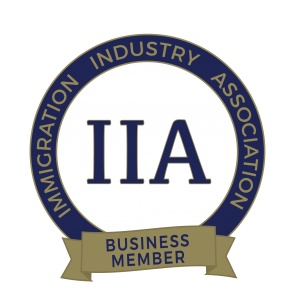 We are delighted to report that John Mason International is now a fully signed-up member of the Immigration Industry Association (IIA). As professionals within this fast-moving sector, we all face common challenges – not least ever-changing legislation, a turbulent global market, acute fluctuations in currency, and availability of jobs. So, this new venture offers an excellent opportunity for us to share our experiences with other expert organisations and agencies, and to tap into a whole host of ideas, information and research from within the immigration industry. The IIA is a non-profit association. A highly-respected group of industry professionals which also provides help and support for migrants and expats across the globe. Since that ethos is the essence of our very being, we’re thrilled to be formally-recognised as a significant expert in our field of expertise. Over the coming months and years, we will be making the most of our membership. That means getting involved in major research with the aim of introducing innovative new international removals services and ongoing support for our customers. We’re also looking forward to linking up with other association members – including migration and visa advisers, immigration lawyers, international recruiters and employers, and global mobility agencies – for training and development prospects. This is a tremendous opportunity to cement our commitment to the Immigration Industry Code of Practice and Quality Insurance Practices. Membership of the IIA is an excellent indication of a removals or relocations company’s commitment to providing first-rate and industry-leading services…and we’re immensely proud to be part of that.